Black Catholics also speak a new and challenging word about Mary, the mother of God, rejecting the symbol of passivity for the courageous and outrageous authority of a young unwed mother who had the faith in herself and in her God to break through the limitations society placed upon her in order to say a powerful yes to God, standing alone yet empowered. Hers was not a yes to being used merely as a passive, empty vessel, but a yes to empowerment, challenging the status quo by her ability to overcome those who doubted and denied her and to nurture and bring forth her Son as a woman of faith and conviction. The image of Mary and the infant Jesus is an image of strength and courage, of a mother’s determination to bring forth this child regardless of the circumstances and conditions opposing her, a situation in which many black women have often found themselves. But why is this proof or authentication so often necessary? Historically, persons of African descent have not been seen as Catholic. Despite our more than five hundred years in the church in the United States and our two-thousand-year-old presence in the universal church, whose origins were in the Middle East and Africa, including black Africa, we are seen usually as newcomers, converts all, with little right or authority to demand what are seen as the privileges of the faith. The Virgin Mary made me nervous. When I was a child growing up in a predominantly Roman Catholic town in Massachusetts, my friends informed me that Jesus would return the same way he had come before–that is, a Jewish virgin would be his mother. Being the only Jewish virgin in the neighborhood, I might therefore become the messiah’s mother. Consequently, during much of second grade I was absolutely petrified that an angel would appear in my bedroom, say, “Hail, Amy-Jill,” and tell me I was going to be pregnant. 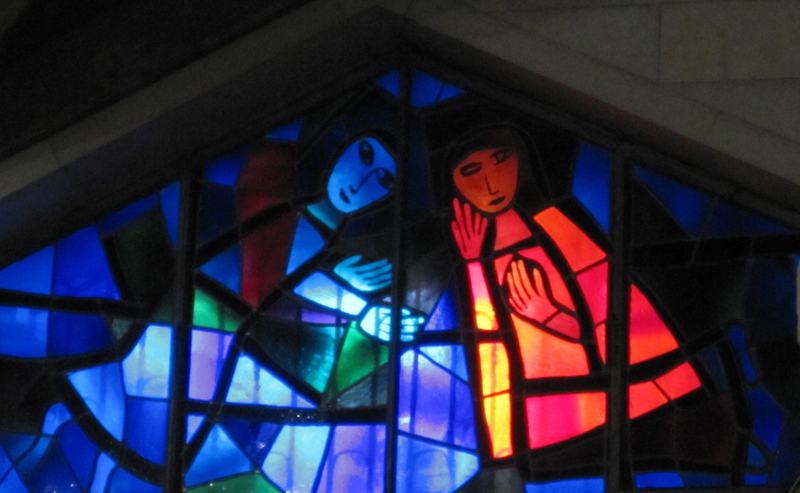 And that’s what I personally think of most often on the Feast of the Annunciation–the courage required to say “Yes” to the voice of God when it finds its way to you, in your particularity, confronting you immediately and individually and with the full knowledge you have no way of evading the responsibility of response. And so I pray to resist that relief, and embrace, instead, terrifyingly outrageous authority. 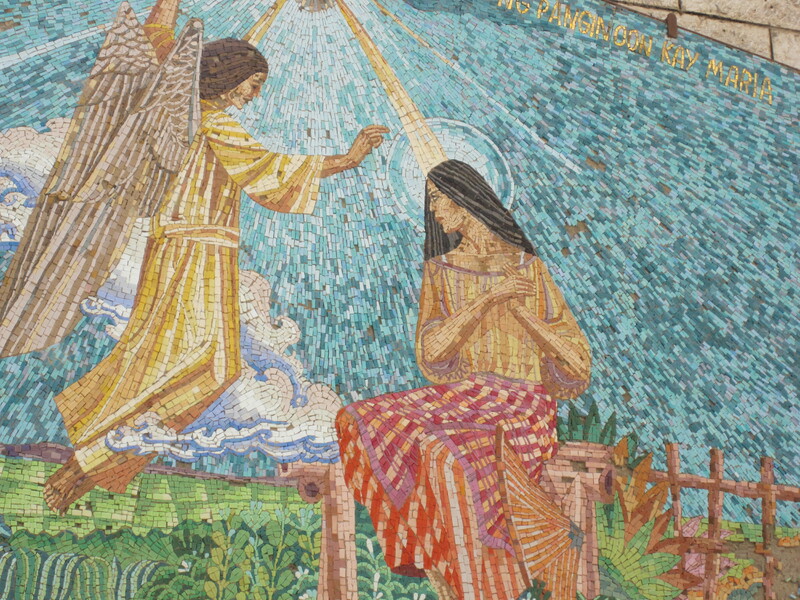 Is it possible to know the artists who did the Mosaic from the people of the Philippines, Church of the Annunciation, Nazareth, photo by Bridget? Guy, I’m so sorry — your comment somehow got shunted to the spam filter, and I just now realized it was there. Unfortunately, the information plates at the Church of the Annunciation did not provide that information — I very much wish I could help you with that!